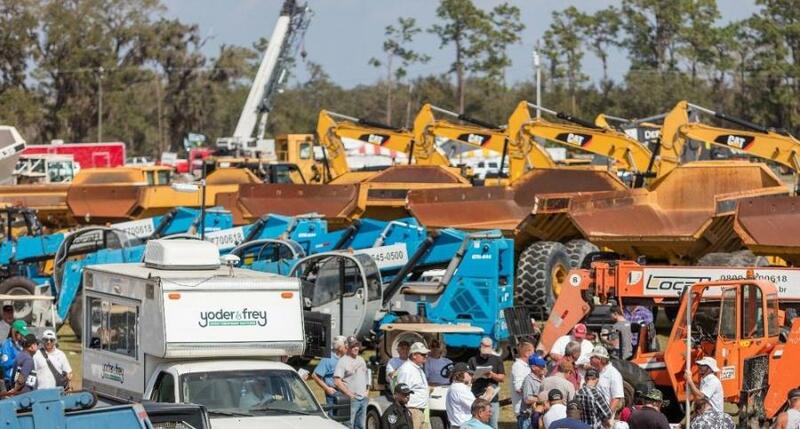 Yoder & Frey, auctioneers of heavy construction equipment in the United States, will be hosting a large engine sale consisting of specialized engines and power plants for heavy trucks and construction machinery at the upcoming Kissimmee, Fla., winter sale to be held Feb. 13 to 17, 2018. Yoder & Frey will be hosting what they believe to be the worlds largest 'Engine Sale', an auction of specialized engines and power plants for heavy trucks and construction machinery at the upcoming Kissimmee winter sale to be held in Florida between Feb. 13 and 17, 2018. The sale will include 1,000 pieces already consigned to the sale, which includes a growing inventory of diesel engines for trucks and heavy construction machinery and power plants for agricultural machinery and equipment. From a buyers perspective the inventory includes new, refurbished and second-hand products, meaning there will be plenty of opportunities for all buyers. As part of the Kissimmee Winter sale, launched by Yoder & Frey over 40 years ago, the "Engine Sale" is gaining momentum and space is still available for loyal consignors from across the US and new consignors can also register, enabling them to be part of this milestone auction. Being part of the Euro Auctions Group global network of companies provides Yoder & Frey with access to a global market place in which to promote consignors equipment to over 150,000 buyers in over 95 countries. They can all buy via the internet through the free to use robust and secure online sales platform that underpins the Yoder & Frey brand. Dec. 5 in Georgia will see an offsite auction for Mitchell Contracting Company LLC featuring a mix of earth moving equipment, trucks and trailers; the Yoder & Frey auction on Dec. 7 in Ohio will feature a selection of construction and earthmoving equipment right down to garage equipment, tools and spares, offering potential buyers a great opportunity to acquire some impressive lots. Register online to buy and sell. For further information please contact Yoder & Frey (www.yoderandfrey.com) by email at info@yoderandfrey.com or call 001 419/865-3990.